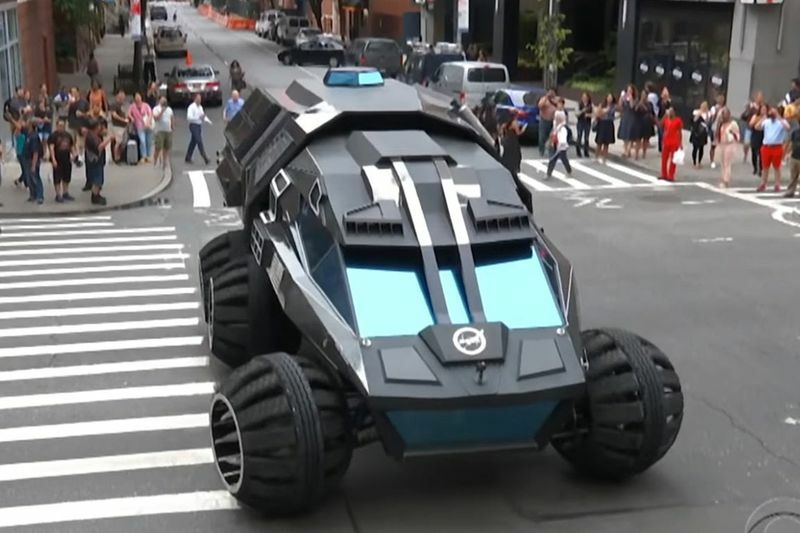 Imagine being in NYC, strolling along the streets minding your own business, then you see this Mars Rover drive past you. Now, the imposing rover seems to be embarking on a tour to help reignite interest in space exploration amongst the public. Where better to reach a lot of people in a small time and space that New York City, one of the most densely populated cities in the U.S. As always, there was a bystander there with their phone to capture the action, sending their video into Unilad, who shared it with their massive audience. We still don’t know what the rover is powered by, but I’m sticking with my initial guess of lithium batteries and electric motors. We know from the previous video that the inside of the Martian explorer is a rolling laboratory that was built from the ground up by the Parker Brothers by hand to make the most of the available space. While it will almost certainly see some changes before we head to the Red Planet, using the concept to help reconnect the public with our nation’s space agency seems like a great idea. I could only imagine being a kid strolling the busy sidewalks in NYC, only to look up and see this thing rolling toward me. The spherical wheels and hard, angular surfaces immediately evoke feelings of science-fiction wonderment. There’s nothing better to spark a return to manned space flight than firing up our youth about the possibilities. They are, after all, the ones who will be piloting the rockets and rovers when the time comes to look back to the skies and beyond.